In the early 1990s, while working as a journalist in Moscow, Jeff Lilley witnessed the dissolution of the Soviet Union. In 2004, he moved to Kyrgyz Republic. After spending around three years reading the work of Chingiz Aitmatov, he began to research the life of this Kyrgyz writer, who carefully chose the words he used to condemn the Soviet system. About five years later, Lilley discovered the story of another Kyrgyz, Azamat Altay, whose life also intrigued him. Azamat Altay was a soldier from Soviet Kyrgyzia who was held captive in Nazi prison camps. After escaping from prison, he was declared a traitor and ended up fleeing to the United States. Aitmatov and Altay first met in New York, on July 19, 1975, and saw in each other kindred spirits in the mission to preserve their people’s culture, language, and literature. They were living different lives continents apart from one another, but Aitmatov knew well the path Altay had traveled. Indeed, he had seemingly featured the character of Altay in one of his works. Meanwhile, for Altay, who had fled to the US and lived far from his home country, Aitmatov and his books were a kind of bridge connecting him to his motherland. The stories of these two Soviet Kyrgyz men, who endured the historical events of Soviet era—from the purges to World War II, from the Cold War to the collapse of the Soviet Union—and fought for the freedom of their countrymen intertwine in Lilley’s historical biography. is a program team leader at Palladium International, a British-funded parliamentary support program based in Bishkek, Kyrgyz Republic. ​The title of the book is “Have the Mountains Fallen?” What do those mountains refer to? What does the title mean? But the bigger meaning is a metaphor. It is a metaphor for when the natural order of life is disrupted. Both men suffered great loss. Aitmatov lost his father and Altay lost his country. So for them the mountains fell. But then they rose again. And the mountains fall and rise. That is the rhythm of life. ​How much time did you spend gathering information and writing the book? Where did you travel in order to gather the information? What was the most difficult experience you went through? I spent around three years reading Chingiz Aitmatov’s books and researched them for a further five years. At first, my goal was just to write a biography of Chingiz Aitmatov, and then in around 2009, I was talking to Tynchtykbek Chorotegin [then an employee of RFE/RL’s Kyrgyz service]. He told me about Azamat Altay and I said to myself, “That sounds interesting!” So then I started researching Altay. I probably researched for five years. Then I wrote for one and a half or two years. In Kyrgyzstan I went to Sheker, Bishkek, Issyk-Kul (state residence villa). Then I went to Switzerland to talk with Aitmatov’s agent. I traveled to New York City to go to the Columbia University Library, and I visited Washington, DC, to access the Library of Congress and the George Washington University archives. Chingiz Aitmatov and Azamat Altay (right) at Altay’s house in Queens, New York, on July 19, 1975, during Aitmatov’s first visit to the United States. Source: Photo courtesy of Gulnara Turganbaeva. The most difficult thing was finding a publisher (smirks). You write a lot of letters. You try to sell the book. And they write back, “Thank you very much! But we are not interested.” Many rejection letters. And then I was lucky, because Indiana University Press said, “We like this!” Maybe they appreciated it, but it may have helped that they also published Aitmatov’s novel, “The Day Lasts Longer Than a Century” in English 30 years ago. And I wrote that in my letter. But this is quite difficult, because you work for ten years, you give your life. And then you do not know if someone wants to publish it. So that is difficult for me. As for the research, I was able to find information. I think there was a lot of information about Aitmatov. About Altay there was not so much. His memoirs were really helpful, then I met his family, which is very important. I always felt that I was making progress, which was good. I was always interested in finding out more about these two men and their fascinating personalities. Nobody said “No!” to me, everybody wanted to talk to me. One thing is, I wish I spoke Kyrgyz, because sometimes people were more comfortable speaking Kyrgyz. I think I am lucky that people still speak Russian, because I was able to speak with them. ​What kinds of materials is the book based on? Well, there are primary sources. Interviews with people. There are also secondary sources. So I had people on the ground here helping me who were translating Altay’s memoirs into Russian so I could read them; translating articles that I was requesting; they were going to the library here. I would find out what I needed and they would go and get it, and if it was in Kyrgyz, then translate it. I also worked with several students at the American University of Central Asia over the years to translate them. But I had two researchers who helped me a lot, Ermek Adylbekov and Iliyas Mammadiyarov. Very helpful guys. They speak Kyrgyz, English, and Russian perfectly—they are the new generation. I read a lot of Russian history, Central Asian history, and from these sources I developed my content. Altay’s farewell at Manas airport in Bishkek in September 1995 following his return to Kyrgyzstan after fifty-five years. Altay is in the center in the grey suit. Chingiz Aitmatov is to his right in a light suit, and Askar Aitmatov is on the far left in a dark suit. Source: Photo courtesy of Gulnara Turganbaeva. I am really fortunate that the memoirs existed, because I never met Altay and there was not a lot written about him. There’s so much more about Chingiz Aitmatov. But the memoirs gave me information about the people who knew Altay, who worked with Altay. And this was quite exciting, the way they remembered him. I was able to talk to people who knew him in America, where he arrived in 1956. At Columbia University, I found reports about him as an employee there. I interviewed a couple of people in New York who had known him. I interviewed a very famous professor of Central Asian history called Edward Alfred Allworth. He was 95 years old when I interviewed him and he died last year. So I was very lucky. Altay worked with him for 13 years. He and Altay both fought in the war. They were both very proud men, who were quiet inside, and they were both fascinated with Central Asia. The fact that they are Kyrgyz just makes it interesting, because Kyrgyz are free-spirited people, they have a nomadic culture. ​I was able to talk to him. He said, “Why do you call him Azamat Altay?” I said that was his name. But he said, “No, no. His name is Kudaibergen Kojomberdiev.” He was almost angry at me. Azamat Altay officially changed his name in 1961; there is a story about why he did it. For some reason, I think Allworth was a purist. If this is your name, this is your name. Allworth was that kind of man. Why do you think the English-speaking audience should know about these two Kyrgyz people, Chingiz Aitmatov and Azamat Altay? What is interesting about their lives? Is it their personal life or the historical context in which they lived? We can all learn from their lives. Nobody is perfect. Everybody has troubles. Everybody struggles. Everybody has problems. And they are two very powerful examples of humans who decided they wanted to be free. One man escaped, one man stayed. But you can say that they both believed in this mission of Kyrgyz people preserving their language, their culture, and being free. I think this struggle for rights, human rights, is an eternal struggle. The fact that they are Kyrgyz just makes it interesting, because Kyrgyz are free-spirited people, they have a nomadic culture. And both men were very influenced by where they came from. Altay grew up in Issyk Kul, Aitmatov in Talas. This is a very important part of their identity. I think to Westerners it is something interesting, it is a new world. I also think Aitmatov’s writing is very powerful, and Americans will not suffer if they read what Aitmatov has written. His works were translated at one point, but never widely distributed in America. But wouldn’t it be great if he were “born again” in America for American readers? The historical context is important, but they also understood in each other someone who is fighting for the same thing. They met in New York. I think they were simpatico, they respected each other. Aitmatov understood the difficult journey Altay had been on; Aitmatov understood how Kyrgyz people rejected Altay. But Aitmatov understood—because he writes about these kinds of characters—that Altay should be sympathized with. He should not be rejected. Azamat Altay at Columbia University’s Butler Library in the 1960s or 1970s. Source: Photo courtesy of Gulnara Turganbaeva. ​For Altay, Chingiz Aitmatov was a connection to his homeland. When he read Aitmatov’s books, his heart did not hurt so much. So they were important for one another. There is an interesting story here. I was at Altay’s house—now his niece lives there—in New York. I saw Aitmatov’s books on the shelf. “Abu Talib is alive and he is Azamat Altay.” So that is pretty cool. Which historical events are covered in the book? How did the protagonists endure those events? It starts out with World War II. For both men, World War II was a crucible. Then I go backwards, to the history of Urkun. And then we go to the purges, and the post-war period, and the Cold War. Then we move on to the creation of Radio Liberty, to Aitmatov’s writing, and then we come to perestroika [the restructuring of the Soviet political and economic system in the late 1980s] and then independence [the collapse of the Soviet Union in the early 1990s]. And then it ends, basically, with the deaths of both men, which is the epilogue. So it really covers maybe a hundred years—The Day Lasts Longer Than a Century [quoting the Aitmatov novel], it is like a century. I also tell the history of the 1860 Russian colonization. During World War II, Altay was captured three times by the Germans and escaped three times. He was subjected to torture. He had to live on his own. Hiding with Poles, Belarusians, hiding in the back, maybe cleaning up the stables, maybe chopping firewood for food and shelter. So that they would hide and shelter him. So he had to endure that way, cold, no food. At the same time, Aitmatov was in the village in Kyrgyzstan. There were no men—all the men had gone to the war. So he had to become the secretary to the selsovet (village administration). He delivered the death notes to the families. A 14-year-old boy. Can you imagine what that would be like? I think he understood early what loss and pain was, and when you can do nothing about it. So that was one thing. I think Aitmatov then had to endure being the son of an enemy of the people. He was not allowed to go to graduate school, which is lucky for us, because he turned to writing. Altay was denounced as a traitor and lost his homeland. He never went to his father’s funeral, and we know how important that is for Kyrgyz. You could say he abandoned his family. And this was with him for his entire life. That is why, when he came back in 1995, the first thing he did was to go to where his mother and father were buried and pay his respects as a son. The pain, the sense of loss, is very palpable for both men. A photo from the page with a timeline of stories in the book. ​What does the meeting of Altay and Aitmatov during the Soviet era tell us? What can you tell us about the Soviet context? I can say a lot. It happened at a very interesting time in US-Soviet relations. Apollo and Soyuz were up in the sky. There was Bolot Minjilkiev, too, a Kyrgyz opera singer. So maybe you have spaceships linking up here and everybody’s watching this. But down in the hotel room in New York, for the Kyrgyz people it was as big as this. That says that culture, language, and connection are very powerful. Despite authoritarianism, it says something about Chingiz Aitmatov and his status that he felt free to meet with Altay. As you know, Bolot Minjilkiev really wanted to meet with Altay. There is a good anecdote about his character. He was a very free guy, pushing the KGB aside, saying, “You cannot stop me! This is my blood.” Some Kyrgyz rejected Altay—it was very harsh—but there were other Kyrgyz who valued him, respected him. I think in the Soviet era, it was hard to see the second type, but they were there, and they were in the writings of Chingiz Aitmatov, his characters. And everybody read Chingiz Aitmatov. It also maybe says that you have to be really smart to fight against authoritarianism and survive. That was the redemption. Altay came back and was greeted as a hero. And Aitmatov found his father after 53 years. I do not know any other stories like that. That is pretty amazing. Chingiz Aitmatov making a speech at the Congress of People’s Deputies, Gorbachev’s new, more democratic parliament, in 1989. Source: Central State Archives of the Kyrgyz Republic. What can contemporary Kyrgyz citizens in particular and Central Asians in general draw from their lives? “Chingiz Aitmatov’s work is a summons to his countrymen to remember their history, develop themselves morally and vindicate with their actions the freedom they possess. Born in modest circumstances, both Aitmatov and Altay were constantly educating themselves throughout their lives, in the process building a respect for democratic traditions and the rights of the individual. They saw in each other kindred spirits on a common mission to preserve their people’s culture, language, and literature. They were not fueled by religious fervor or any exclusivist ideology. Rather, they cherished the promise of secular democracy and its hallmarks of freedom of religion, speech, and association. They embodied the missions of their lives with their lives in their efforts on behalf of their trapped countrymen. In which languages are you going to publish the book? We want to translate it into Kyrgyz and Russian, so that people here can read it. It is only in English now. We are working with a local organization to figure out how to best do this, and one idea is to do a crowdfunding campaign, hopefully collecting money from Kyrgyz who live overseas, but also those who live in Kyrgyzstan. 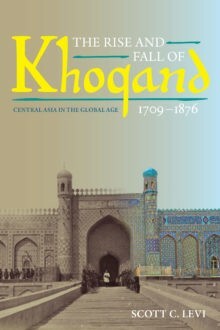 The idea is to make the book available at an affordable price for Kyrgyz in the villages who might not have much money. So in a way, we want to raise money from Kyrgyz who have a little more to pay for translation and printing Kyrgyz and Russian versions. If there is any money left over, we want to put it toward an ecological goal. But we are just figuring this out. Hopefully, the campaign will be launched soon.